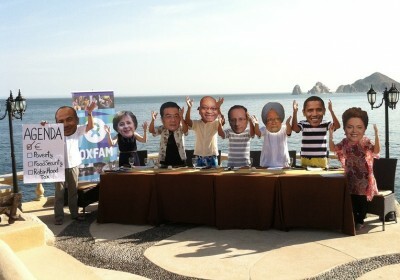 And now, your report from the front lines of the G20 summit recently concluded in Los Cabos, Mexico. And the good news is… no knife fights. Very little broken furniture; and for the very first time in recent memory, the proceedings were judged to be more boring than watching varnish harden, which is considered a huge coup for the host country. So, Viva Mexico! The G20 meets once a year and is made up of 15 or 16 of the top 20 countries with the largest economies in the world, excluding Norway, the Netherlands, Spain and a couple others, but including the European Union and some other countries with special ties to the organizers. You know, like in high school. If you help decorate Prom, you know who’s compiling the guest list. Of course, Spain is allowed to crash the festivities every year even though they’re not actually members. Like the quarterback who gets suspended for the food fight in the cafeteria, everybody loves Spain and will sneak them through the back door of the party. Besides, they always bring the Sangria. And come on: they’re Spain! 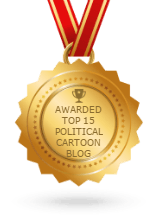 An important thing to remember is the huge, intractable distinctions between competing governmental conventions. The G20 has absolutely nothing to do with the G-8, which is made up of eight of the world’s top 10 economies excluding China and Brazil. And once in a while, the European Union wanders by, but that’s about it. Don’t even think of letting Spain in. We have our own Sangria, thank you very much. And we call it gin. Like the G20, the G-8 also meets once a year and was originally known as the G-6 and then G-7. So it would not take that great of a leap to put a couple of Euros down on another eventual name change to G-9. G-Double Digits, right around the corner. And, as everybody knows, the G20 replaced the G-33, which itself superseded the G-22, leading to speculation that the G-8 and the G20 will someday merge and produce a mutant love child to be known as the GG-28, which will meet twice a year and hopefully be as boring as Day Three of hospital pudding. This was the seventh meeting of the G20, and the politics involved were breathtaking in a stupendously vapid way. Then nothing happened. And for nothing to happen on a global scale, with markets around the world as precarious as a glass sculpture above a nuclear test site located on an earthquake fault in a sandstorm, is exactly what everyone was praying for. An official declaration recognized that agreements may very well be forthcoming but not until a framework can be forged to accommodate international justifications to absolve interested parties of any blame and/or responsibility. And Greece and Spain were never mentioned by name. But we all know who they are. Internally, it was heartily agreed that decisive action will definitely be required. Someday. By someone. But not now. And definitely not by anybody here. Then Asia and Latin America quietly bailed out Europe, and nobody commented on the ignominy of it all, and they all retired to the big balcony overlooking the sea to dance and smoke and drink Sangria. Check out the website: Redroom.com to buy Will Durst’s book or find out more about upcoming stand-up performances. Or willdurst.com.